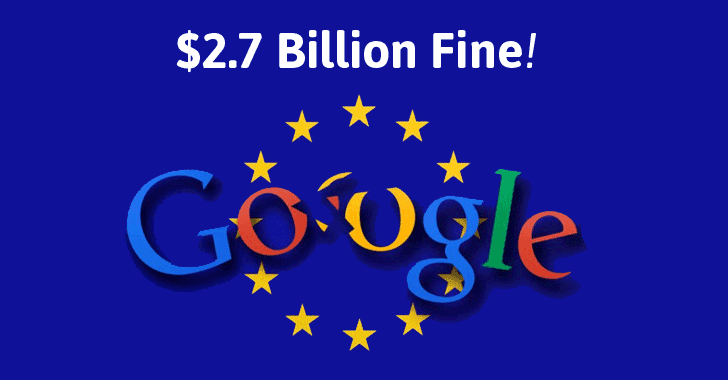 Google has been hit with a record-breaking $2.7 billion fine by the European antitrust officials for unfairly manipulating search results since 2008. After a lengthy seven-year investigation that was launched in 2010 after several rivals complaint, the European Commission on Tuesday imposed this ‘biggest even financial penalty’ against the internet search giant for breaking EU competition law by using its search dominance to distort search-engine results to promote own shopping comparison service at the top of all search results. 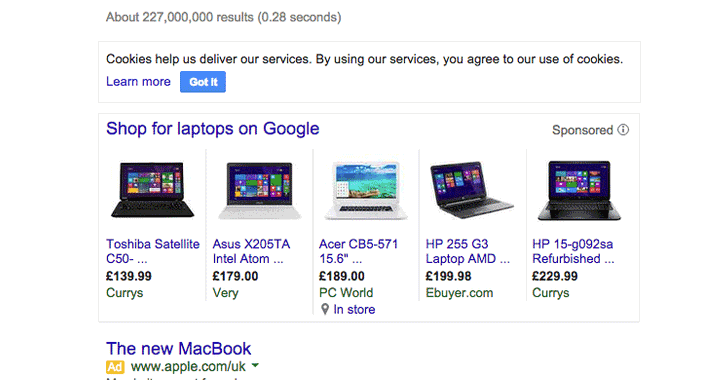 So now Google will have to change its search algorithm. However, the company can also appeal this decision in in EU courts to delay the resolution for years. Google Spokesperson said in a statement. One says Google Android unfairly force cellphone manufacturers to pre-install Google services to promote its products over rivals. Another investigation targets its AdSense business.